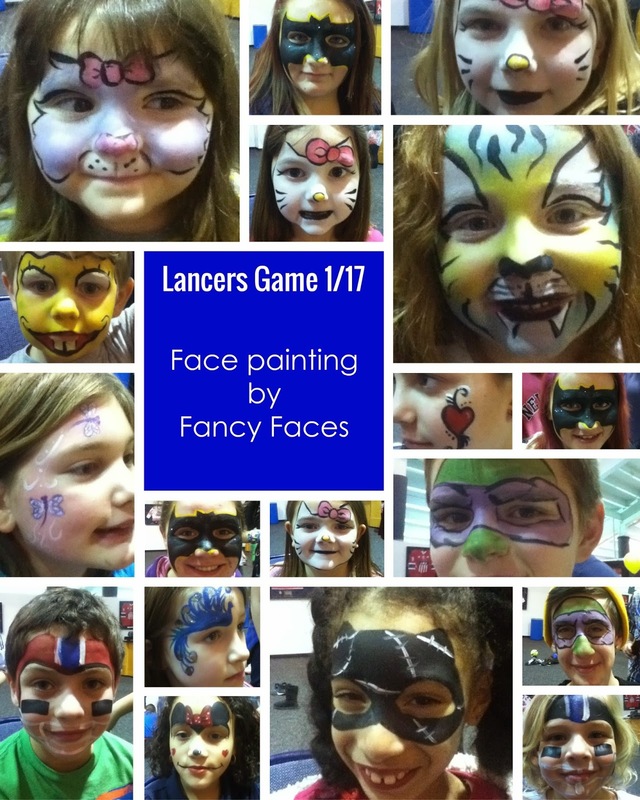 The Lancers' season I was face painting for tips at some of their home games. I loved seeing which faces were the most popular. This game it was definitely Bat Mask (3 girls in row!) and Hello Kitty Face, followed closely by Purple Ninja Turtle and Football Player.